A still from the bodycam footage of Hanford Police Corporal Chris Barker shows the standoff between law enforcement and Juan Castro. It’s November 27, 2017 at about 3 p.m. when Hanford Police Officer Jeff Davis first hears a dispatch about a deadly shooting in the small Central Valley town of Lemoore. Minutes later, he notices a blue Dodge Charger at a traffic stop. He checks the license plate numbers against those he’s written on his hand from the BOL or Be on the Lookout. “I put two and two together and I thought, well this has got to be the suspect in the Lemoore shooting,” Davis tells investigators later that day, according to documents released by the Hanford Police Department under California’s new police transparency law. The law means the public now has unprecedented insight into the moments when officers make life and death decisions. The driver of the blue Dodge, Juan Luis Castro, sees Davis and pulls around another car. Davis and several other officers pursue him, speeding along rural roads, hitting 100 mph. He also radios his boss, Corporal Chris Barker. Davis hopes they’ll slow down enough so he can execute a PIT maneuver, meaning he would bump Castro’s car, and spin it. Here’s what he tells investigators later about why he thought a PIT maneuver might work. “It’s a rural road. With dirt on either side, there’s no other dangers,” he says. It isn’t long after he makes the request that he gets his chance. Davis pulls up to Castro’s car on the driver’s side. “I paced him to scoot over, just give him a light touch and that's when his car began to spin out of control. And as soon as it spin I give it a little bit of throttle and his car spun and I looked at him. We were just feet apart,” he tells investigators. Castro’s car is disabled. “You guys got him, he just got pitted,” Davis says over the radio. Four other police cars pull up around the Dodge Charger. The officers are yelling. Barker starts calling the shots. “One at a time one at a time,” he instructs the officers. “Keep your hands up, get your other one up,” he yells at Castro. Four officers now have their guns pointed at Castro who’s still sitting in his car. They can’t see if he’s got a gun. The open passenger door is blocking their view. Barker tries to force Castro to show him both hands. Barker considers his options. He looks in his car trunk to see if he can find his beanbag shotgun. It’s not there. “Ain’t got my less lethal,” he says to himself. The suspect’s left hand is up, but it’s hard to follow his right hand. “Keep your hand where we can see it,” Barker yells. “Keep that hand up." An officer next to Barker asks if he should try to taser him. Barker says he doesn’t want to chance it; there’s not a clear enough shot. Castro’s right hand goes down again. Castro’s hands remain down and he mumbles something about his family, how they’re going to kill him. Barker is wondering how this is going to end. Here’s what he tells investigators later. “This is going to go to suicide by cop, or a suicide, or shoot it out with us. Now you are basically saying is, ‘I, I can't surrender I can't fall to the ground,’” he says referring to Castro’s unwillingness to get on the ground. Another minute has gone by. Castro still won’t show his hands. “OK we’ve been letting you breathe,” Barker says. After minutes of deadlock, Officer Davis senses a shift in Castro. Here’s what he tells investigators later. The tension is mounting. “He may be armed, we don’t know if he’s armed or not,” Barker says. Now the K-9 starts barking. The deputy, Dakota Fausnett, is going to send his dog in unless Castro starts cooperating. “Last chance!” Fausnett yells. Fausnett releases the dog. It runs at Castro, snarling. Castro’s right hand finally comes out. It’s holding a gun. He shoots at the dog. Fausnett and Barker fire back. Here how Barker describes it to investigators later. Here’s what Davis tells investigators. Castro falls to the ground. Juan Castro shared a home in Lemoore with his girlfriend Danielle Dever. 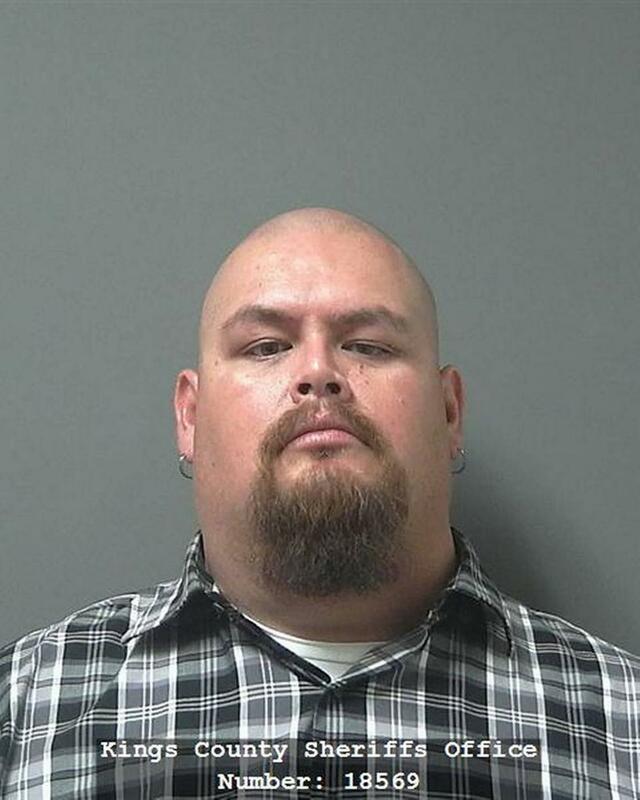 Kings County Sheriff's suspect there may have been unreported domestic violence between them. ”Everybody good? Everybody good?” Barker yells. He’s making sure none of his officers are hurt. The K-9 Deputy still has his gun trained on Castro. He checks the man’s pulse. Then he remembers his dog. The dog’s been shot in the leg but he’s OK. Other officers holster their guns and pull on gloves to secure the scene. The investigation agreed with Barker, finding the shooting lawful. “I don’t know a cop in this world that would approach him [Castro], you know, any differently,” says Commander Mark Bevens, with the Kings County Sheriff’s Department. He says some of the less lethal options like a taser wouldn’t make sense tactically. 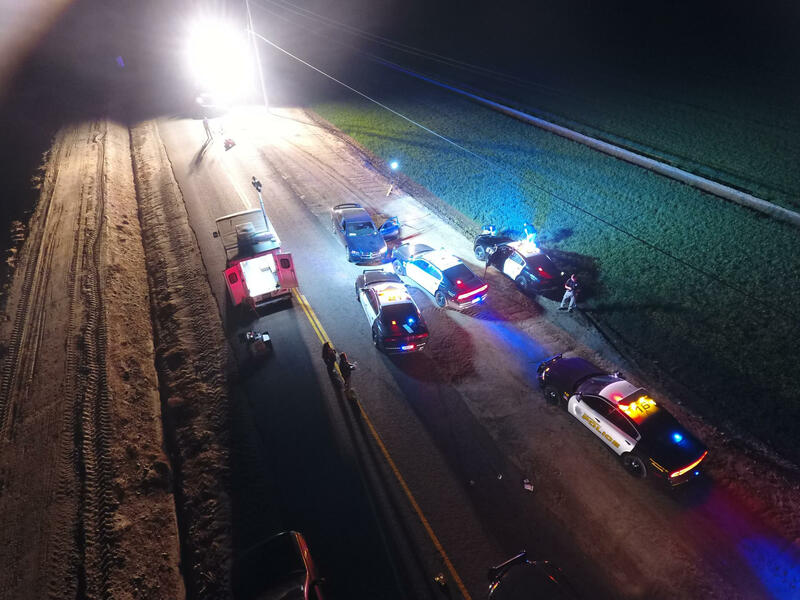 According to the Kings County District Attorney’s report, Juan Luis Castro shot and killed his girlfriend Danielle Dever in her Lemoore home. Her parents were in the home and called police when they heard gunshots and found Dever in the bathroom. Shortly after, the car chase began. Bevens says the gun Castro used to shoot at the officers was the same gun he used to kill Dever. The toxicology report from the Kings County Coroner revealed that Juan Castro was on methamphetamine at the time of death. This story was produced with the help of Sukey Lewis, Alex Emslie and Monica Lam at KQED as part of a statewide media collaborative investigating newly released police documents.